The REQUEST Group is a four year old European initiative of antibiotic prescribers with a special focus on the re-assessment of fluoroquinolone prescriptions among companion animals. When they met together for the first time four years ago, they didn't have a precise idea of what would come out of this project. They only knew that too many self-proclaimed spokespersons were explaining what the rational use of antibiotics in companion animals should be without any clear rationale to back up their assertions. Fluoroquinolones were selected because this highly effective antimicrobial class is recent compared to others and it deserves a specific approach when it comes to companion animals. Within the REQUEST Group, experts strongly believe that when the decision is reached to use fluoroquinolones for therapy, veterinarians should strive to optimize therapeutic efficacy and minimize resistance to protect public and animal health. Thus, the REQUEST Group objective is to elicit sound recommendations on the responsible use of fluoroquinolones in companion animals, bearing in mind that this specific target population, unlike large animals, is composed of isolated individuals living in a human environment. In order to reach its objective, the REQUEST Group followed a thorough process based on the AGREE methodology. They elaborated proprietary methodological tools none being initially available to rate veterinary publications covering not only clinical but susceptibility and pharmacokinetic studies as well. In addition, they designed a composite index that encapsulates Efficacy, Safety, Convenience and Compliance to assess the different fluoroquinolones according to prescribers' needs. Methodology and tools were designed to appraise the available literature on the use of fluoroquinolones in companion animals and to find out what would come out of it without any preconception of results. This book presents the details of the methodology and rating tools that enabled eliciting several guidelines. The guidelines cover different practical topics. 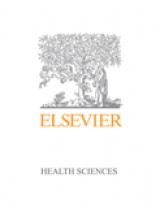 Each guideline is attributed a grading that directly reflects the level of the evidence upon which it is based and is accompanied by a shortlist of publication references for those readers who would like to explore deeper the given theme without reviewing all the available literature. In order to elicit the guidelines, the REQUEST members reviewed 398 relevant publications extracted from the scientific literature through MEDLINE and CATINIST. Indeed, they paid attention to ensure that the literature search balanced specificity with sensitivity, along with clear inclusion and exclusion criteria. The appraisal process was thorough; therefore, REQUEST is confident that should any third party use the methodology and appraise the same material, it would end up with the same guidelines. In addition, all working sessions were public and hosted by European Veterinary Universities.